Analysts were ready to turn out the lights, but this company recovered. 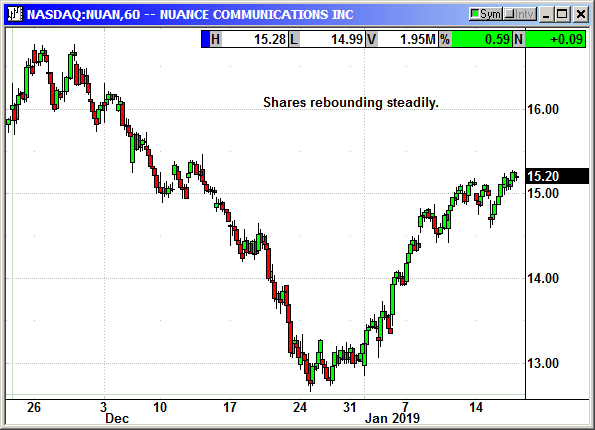 Nuance has recovered half of the market crash losses and still moving up briskly. Buy NUAN shares, currently $15.20, stop loss $14.35.